The manufacture of nameplates and labels has often been described as more of an art than a science. So far as London Name Plate is concerned this is not entirely true. For us science plays a major part in the way we control and monitor our manufacturing processes and product quality levels. nationally and internationally recognised inspection and quality standards for over 80 years. Our Quality Management System is currently assessed to ISO9001:2015. 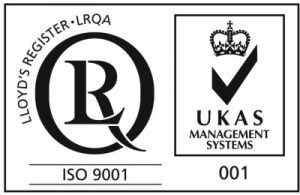 You can find a copy of our current ISO 9001:2015 certificate here.We maintain a controlled Approved Supplier list and are ourselves an Approved Supplier to a great many major UK and European companies. If requested a Certificate of Conformity will be sent with each consignment. When required we will also supply a FAIR (First Article Inspection Report) to the LNP, customer or AS9102 standard. © London Name Plate 2019. London Name Plate is a trading name of The London Name Plate Mfg. Co. Ltd.